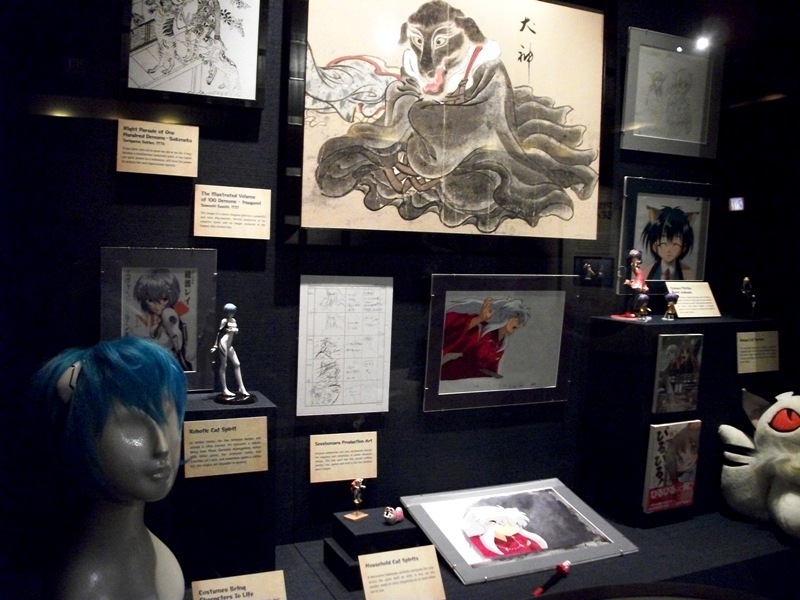 For the second time in as many years, the Japan Pavilion in Epcot has a new exhibit in its gallery. Like Timeless Beauty’s photographic tour of World Heritage Sites before it, the new Spirited Beasts presentation truly knocks it out of the park. Showcasing how a mythical creature is freshened up, or as the gallery itself puts it, “a spirited beast becomes a modern superstar,” Spirited Beasts show modern takes on old legends or, for children growing up on anime and magna, reveal the history behind beloved characters. Creatures that are explored are oni (demon spirits), tengu (bird-human hybrids), bakeneko (cat spirits), inugami (dog spirits), tsuki no Usagi (moon rabbit), tsuru (crane), kappa (water sprites), tanuki (raccoon-dog), saru (monkey), and kitsune (fox spirits). 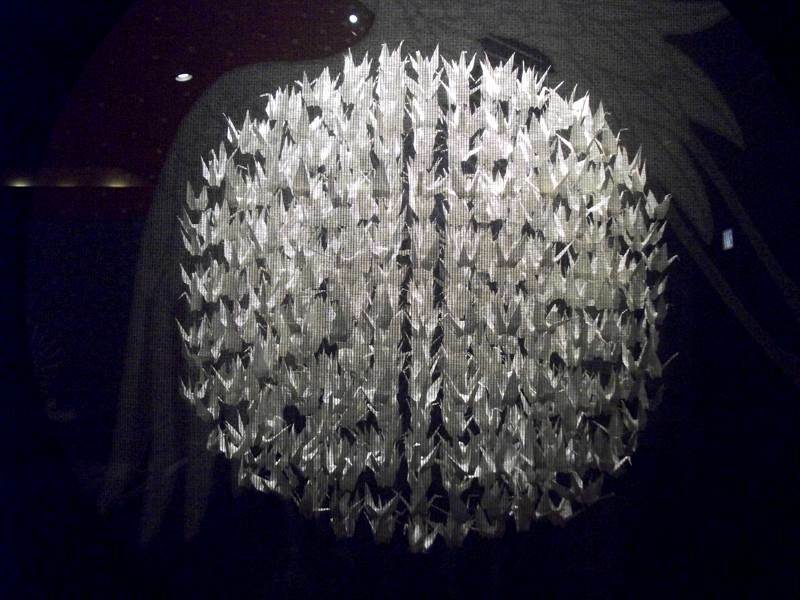 Each display gives an explanation of the animal, moral stories, and modern interpretations of the beast. 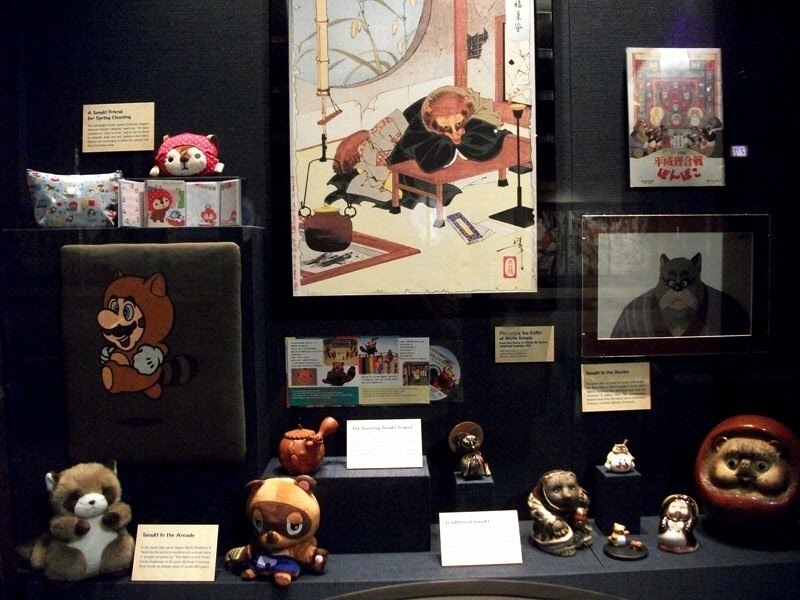 For example, in the tanuki case, a story about rescuing a trapped tanuki and the good fortune that came with the rescue is paired alongside a tanuki-suited Mario from Super Mario Brothers 3. Scattered within individual segment are collections of historical art pieces, figurines, books, animated cels, merchandise, and toys, each a piece of the puzzle showing the transformation from mythology to pop culture. 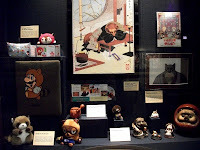 Though only briefly touched up with a section on scrolls, the discussion of how the animals have been viewed over the years, meaning through books, art, television, etc., is weaved throughout the exhibit. From oral traditions to cartoons, movies, and DVDs the transformation in story habits is just as intriguing as the rise from moral compass to superhero. The exhibition is a wealth of information. The stories, history, animation, art, and all other references are, quite honestly, too much to take in and retain on a single trip through the gallery. Which doesn’t mean don’t drop in on the Spirited Beasts, it means visit the tengu (especially the large statue of the Slayer of Vanity), moon rabbit, and kitsune repeatedly and often. It is well worth the investment of time, and one of the most intriguing galleries in World Showcase.